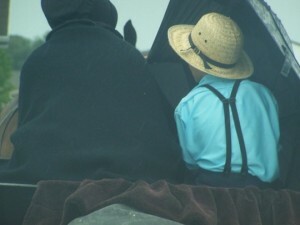 Well, those of you on the daily Amish365 e-newsletter list (If you aren’t on, sign up!) know that I’m battling some sort of bug today. So what better to beat back a cold or flu than the old standby of chicken noodle soup? 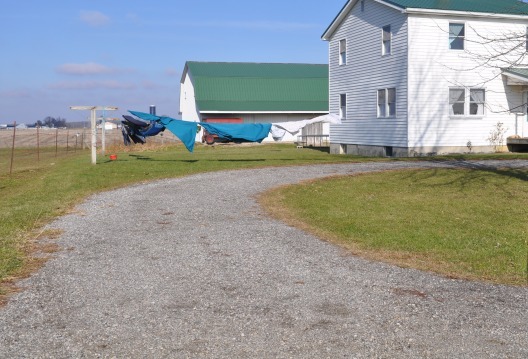 The Berne, Indiana Amish settlement has rich culinary traditions that have remained largely intact over the years, connected to generations of Swiss-German settlers that came before them. 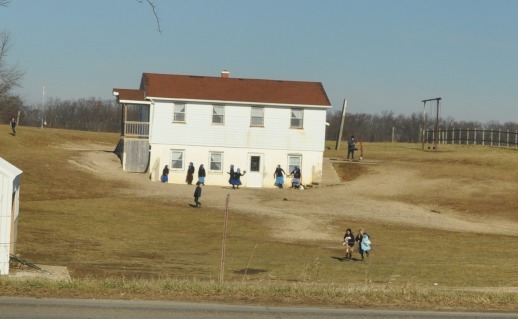 The Great Depression exerted a large influence over the Amish cooks in this area. 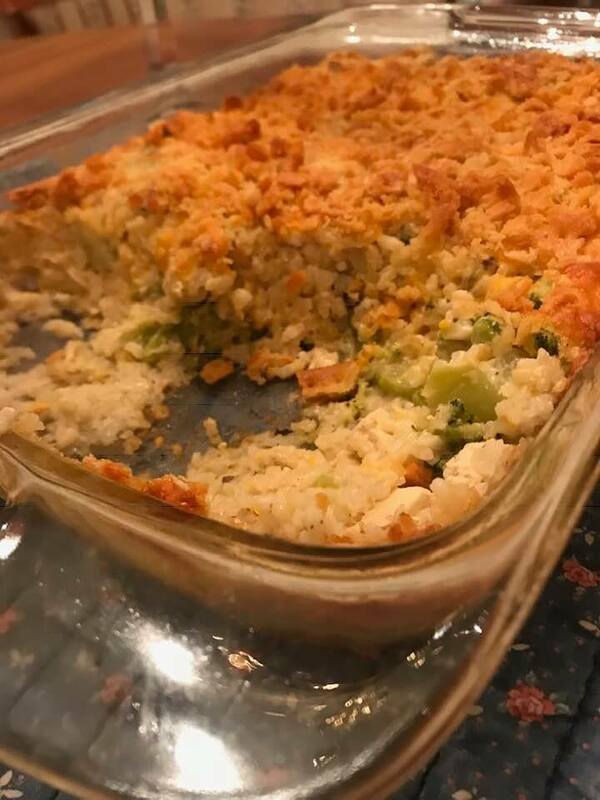 So you find a combination of old Swiss recipes and very basic bare bones Great Depression dishes. 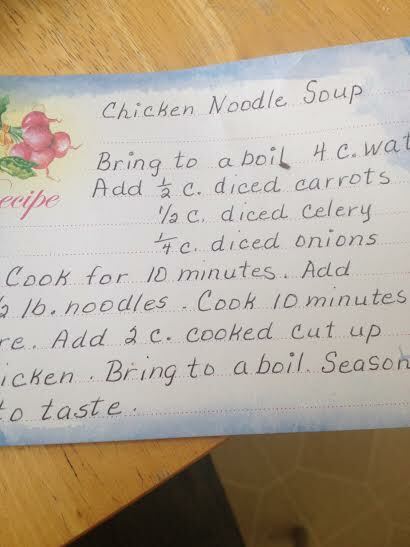 This is an EASY chicken noodle soup recipe given to me by an Amish woman in Berne. I asked her how she made her chicken soup. “I don’t have a recipe, it’s all in my brain,” she said, pointing to her kapp-covered head with a smile. “Any chance you might write it down? Our readers would love it!” I asked. And she graciously pulled out the recipe card you see here and shared it with us. The celery is a hallmark of Swiss Amish culinary culture so I’m not surprised to see that. 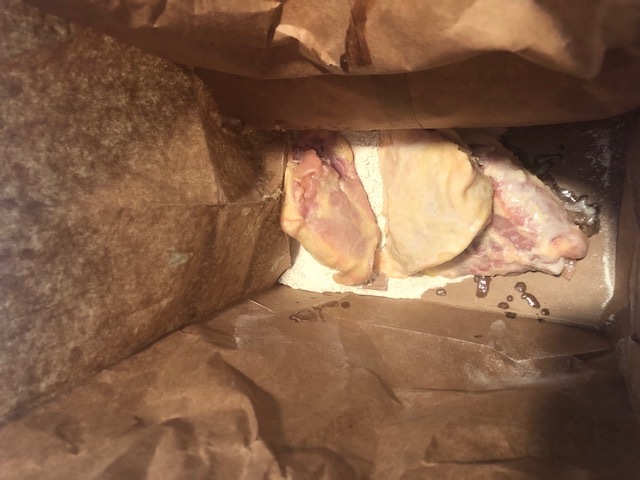 You do have to cook the chicken separately prior to starting the soup. We had a laugh because she wrote out the recipe on this card in about 30 seconds, maybe 1 minute, and the handwriting is beautiful. I showed her my illegible hyrogleiphics in my notepad and she laughed. 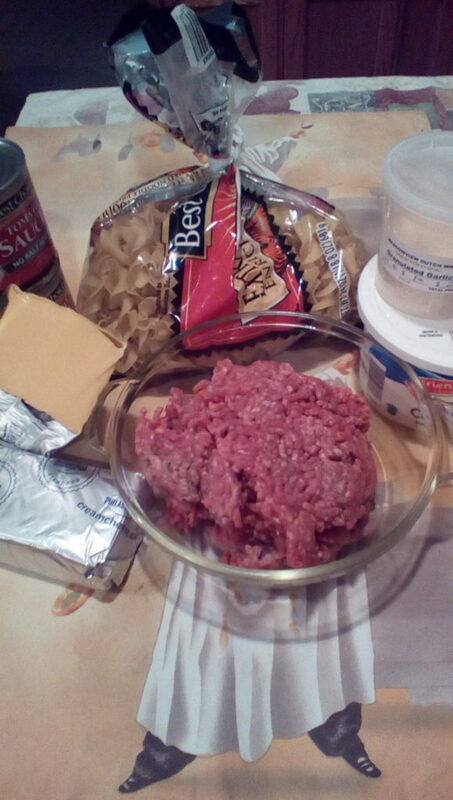 Add carrots, celery, and onions. Cook for about 10 minutes over low heat. 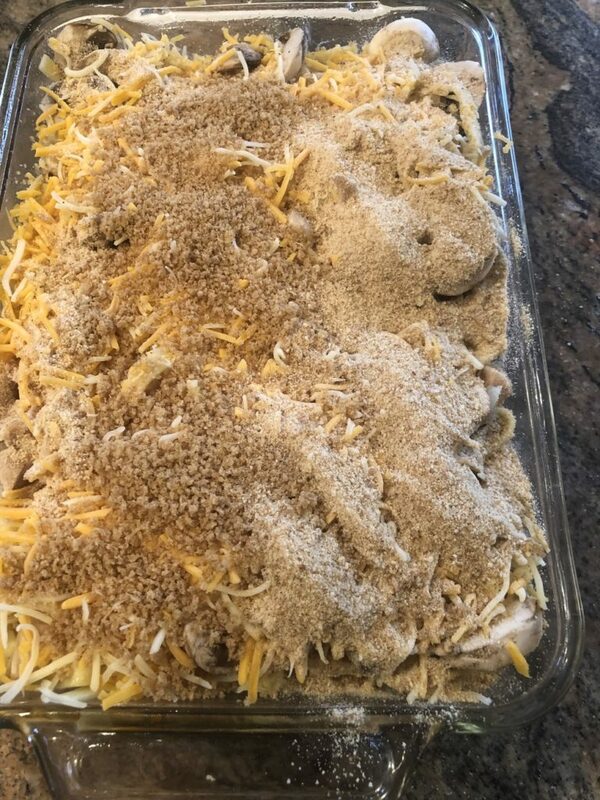 Add 2 cups cooked, cut-up chicken. Go Colts! Amish Football Fan?